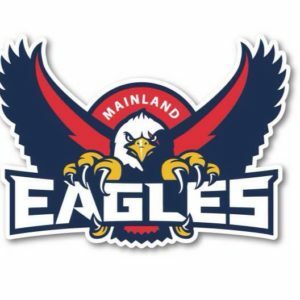 Check out this weeks perfomances by Eagles Alumni. Also check out where you can catch each players game’s below. 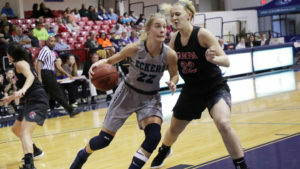 A huge week for Zoe Richards for the Eckerd College womens basketball team. 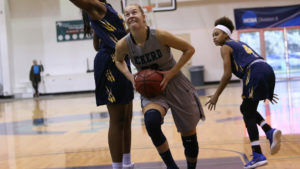 In a double overtime loss Zoe scored 23 points to go with 11 rebounds but unfortunately that wasn’t enough with Eckerd College going down 78-85. In today’s game against Lynn University the team put on a solid performance winning 72-57. Zoe had 21 points and 4 rebounds. 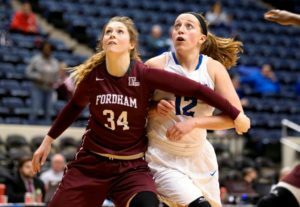 In Zoe’s last 4 games she has averaged 21 points and 7 rebounds per game. 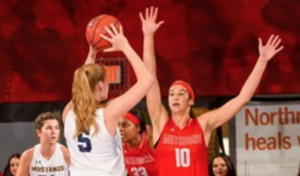 Cal State Northridge had a strong past week. They had a great win against UC Davis 75-71. Tessa had 15 points and 10 rebounds in the win. The team play Long Beach State and UC Davis again next weekend and will want to get to wins to keep their momentum going. Mary has come back strong from injury. In the teams recent double over time 85-91 loss against St Louis see had a great performance. She had a season high 18 points to go with 11 points and 4 assists. The team now play Rhode Island tomorrow and will be looking to bounce back strong and keep building for a NCAA tournament push. 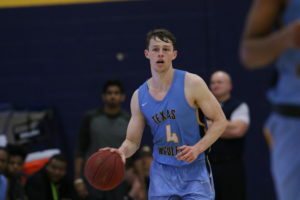 Texas Wesleyan have found battled hard to get some good wins recently. In the teams last two games they smashed Oklahoma Panhandle University and won a tight one against Wayland Baptist 68-66. Sam has averaged 7.5 rebounds and 3.5 assists over the last two. Joe Cook Green had another solid week. 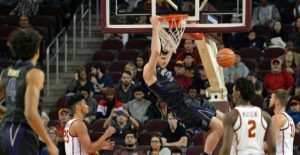 In Eastern Arizona’s 91-84 win Joe had 9 points and 3 rebounds in the win. Eastern Arizona were playing Cochise who they lost to last time by 20. This signals a huge turnaround by Eastern Arizona in the second half of the season. They will now try keep it rolling to finish the season with games against Phoenix College and South Mountain. 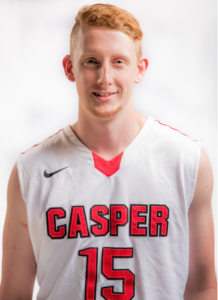 After dropping a few games Casper college have bounced back with a huge 117-75 win over Little Big Horn College. Jackson had 19 points and 9 rebounds in the win. 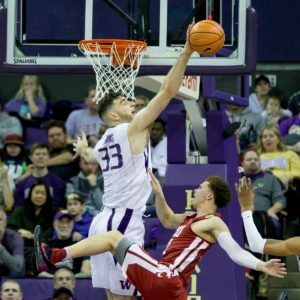 Washington are rolling and after knocking of number 25 Arizona State should sneak into the top 25 themselves and be ranked for the first time this year. This win went with good wins over Washington State and Colorado also. They then knocked of number 9 Arizona in a huge win. 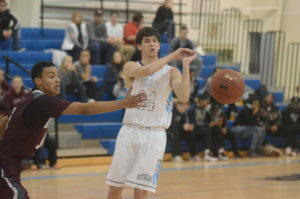 Sam had 4 points and 7 rebounds. Whitworth are still rolling and are currently ranked 5th in division 3 basketball. Plenty of action over the last week with wins over Puget Sound, Oregon and Lewis and Clark. 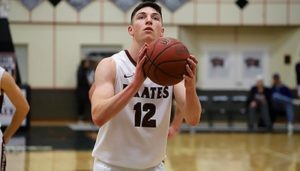 Sam’s best performance came against Puget Sound where he scored 10 points to go with 3 rebounds. Big week ahead with the Wednesday game against number 1 ranked Whitman set to be a great matchup. 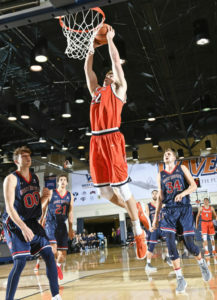 After snappy a 10 game losing streak and beating LMU Pepperdine has had some tough clashes. They have gone down to Santa Clara with Harrison adding 6 points and 4 rebounds and then the team went down in overtime to Portland. 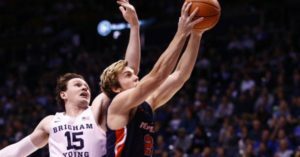 San Diego and a LMU rematch greet them this week with them hoping they can steal a couple more wins. 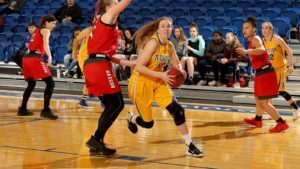 Laramie County beat Northeastern Junior College 95-75 this week. They now have two tough games against Eastern Wyoming and Western Nebraska Community College.